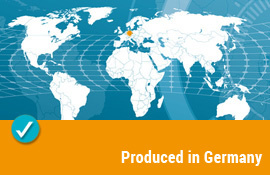 The silver-coated textiles and bed linen and the bedding for allergy sufferers are quality products "Made in Germany" for which the manufacturer attaches utmost importance to the material, its composition and processing. It is basically possible that health insurance absorbs the costs. We will gladly advice you and take over the settlement on request. For quick and comfortable payment, you can choose between immediate transfer, Pay Pal or advance payment. Delivery is safely made as registered mail by DHL. People suffering from psoriasis depend on special clothes due to the typical symptoms, just like those affected by neurodermatitis, also called atopic eczema, whose clothes have to meet special demands. Silver-coated textiles bring relief from the complaints and may even have a healing effect with a decisive improvement on complexion. Silver-coated garments are suited also for all those who want to protect themselves against the exposure to electric smog at home and at work. Who suffers from neurodermatitis (also known as atopic eczema) has to struggle daily with heavily itching and reddened skin. Also people suffering from psoriasis should carefully select their textiles and be demanding in terms of their garments. Thanks to the antibacterial effect of silver, which is processed in silver-coated textiles in the form of polyamide fibres with a 25 % silver coating, a definite improvement on the symptoms can be seen. 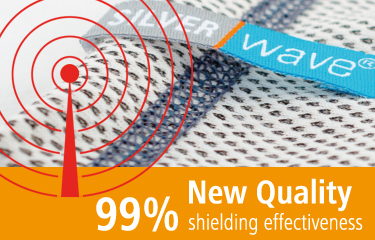 Together with 75 percent cotton meeting the Oekotex Standard 100 requirements, the silver-coated textiles so produced represent an excellent alternative to the conventional cortisone treatment of neurodermatitis patients. These silver-coated textiles are a perfect remedy to dry or oozing and scaling skin. They lessen scratching attacks and the accompanying itching syndrome. If you decide for silver-coated textiles for overnight, you will enjoy restful sleep again despite neurodermatitis or psoriasis. The textiles, which undergo top-quality processing, offer high wearing comfort also thanks to external seams and are thus suited as well for diabetics suffering from psoriasis. These silver-coated textiles are odour-inhibiting and prevent heavy smell of perspiration, which for those impaired may be psychic stress. 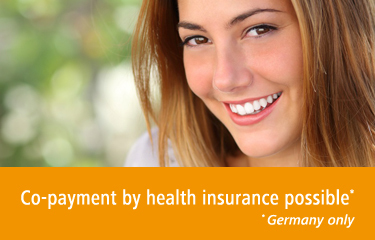 The quality of the products meets the standard Made in Germany, and health insurance may absorb the purchase costs. Neurodermatitis, also called atopic eczema, need no longer restrict or affect everyday life of the sufferers. Silver-coated textiles also promise a new sense of life for those suffering from the symptoms of psoriasis. Our daily routines are marked by the influence of electromagnetic rays. Mobile phone, computer or power sockets in the home are the sources of danger for the harmful electric smog in everyday life. People who have allergic reactions here or who simply seek for protection may bank on radiation protection garments. Especially persons with pacemakers or those exposed to electromagnetic rays in their job should go for this type of silver-coated textiles. The same applies to men at the age of fertility or to pregnant women. Silver portions incorporated into the textiles can be a preventive measure here. An atopic eczema provokes considerable itching causing sleeping disorders. People suffering from psoriasis want to find a good sleep at night. Healthful bedding can bring real support here. It promotes restful sleep and, just like the silver-coated textiles, convince with top quality. The bedding is primarily made of breathable material featuring high wearing resistance and great ease of care. 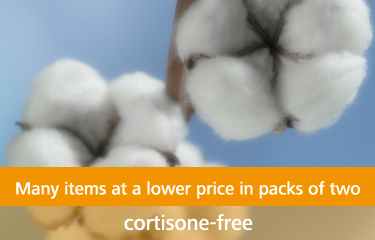 Bedding suited also for the symptom of "atopic eczema" or for people suffering from psoriasis consists of high-quality cover fabrics like cotton. Also the filling materials are an exclusive choice and meet the highest demands that allergy sufferers or health-conscious people have in terms of bedding for a restful night.